A nation of citizens that desires a free press must seek to promote an informed public and must at times rely on the content of the independent press to provide them neutral inspections that reports without agenda. The Fourth Estate is an honorary title reflecting the power of influence relegated to members of the media because they have no official power. Yet they do choose what historical and contemporary issues of importance are widely known to many citizens and their stories often can make and destroy the careers and lives of nearly any person no matter how beloved or reviled. However, we should also consider those revealed by evidence abusing this position to influence the public. The Kennedy Assassination is among the most controversial topics dismissed by some media outlets and there is no shortage of bad ideas offered by some officials and fringe conspiracy advocates, yet there is a substantial amount of verifiable contending evidence as well. Evidence that confirms a minority of high officials sought to use the press to shield them from reasonable skepticism and the historic mistakes that still haunt their past investigations. A huge omniscient cover-up did not occur, but a series of multiple cover-ups by various officials to protect their reputations, hide past illegalities, and deny all possible ties linking them to people and suspects important to the case did repeatedly. When official narratives require a journalist to propagate them some are too willing to participate and do not understand every official interest regarding them might one day be revealed. In April of nineteen fifty-eight, authorities issue another POA request for Johnson and because she met the requirements for her use as a traveler and informant. Officials contend that Priscilla Johnson would be receptive to their proposal but the request canceled months later. During May, she consents to a "...'Embassy' briefing prior to departure to SU. (Soviet Union)" and she "Expressed willingness to do what could. Believe could act as spotter and contact appropriate Soviets of interest." Subsequently officials again disapprove Johnson for security clearance and deny the request for her use as a legal traveler "spotter". In nineteen fifty-nine, Lee Harvey Oswald had been suggested a local hotel by Edward Snyder, a Consul official and CIA agent with State Department cover. 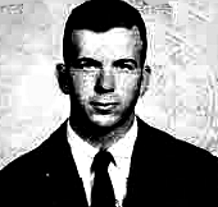 John McVickar a different consul official at the United States Embassy in Moscow suggests that Priscilla Johnson meet with the defector Lee Harvey Oswald. Johnson interviewed Oswald for five hours in Moscow at the Hotel Metropol, where she too was a resident. She reported that from the interview she believed he was a soft spoken but angry young man who was an ideological Marxist defector. Yet while Johnson was interacting with the Agency in nineteen sixty-two, the Federal Bureau of Investigation received a list of correspondents who were possible Soviet Agents reporting political information. Richard Nixon's personal secretary Rose Mary Woods provided this list to the Agency and they began to exclude some listed names. 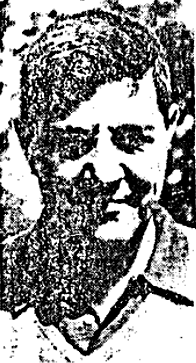 Yet among those still under consideration during nineteen fifty-nine was Priscilla Johnson.xiv One file notes that in October a security check request concerning Johnson was made "...for routine exploitation of foreign positive intelligence." In January of the next year, she met again with the same employee to discuss her prior interview of Lee Harvey Oswald and other related matters. She has a casual contact with an unnamed CIA component and employee that clear her for use in March of nineteen sixty-four.xvii Johnson writes the article "Oswald in Moscow" during April for Harper's Magazine, in the article she describes Oswald as "evasive...and too frail, psychologically, for what he had set out to do." She claimed that his alleged lethal role determined by officials was part of his "social protest", yet Oswald largely only praised President Kennedy according to related witnesses. If he wanted attention for his protests, it does not make sense that would not take credit for the allegations targeting him and forever be a part of Marxist history. Johnson speculates that President Kennedy was not a man but "a surprisingly abstract being, a soulless personification of authority." Of course, Johnson never offers evidence or sources to prove this but merely her officially aligned interpretation. Following Johnson's marriage to George McMillan in nineteen sixty-six, her name became Priscilla Johnson McMillan. By nineteen sixty-seven, Johnson McMillan was translating the memoirs of the former Russian dictator Josef Stalin's daughter. McMillan's does not publish her book "Marina and Lee" until nineteen seventy-seven amid the ongoing inquiry of the House Select Committee on Assassinations. One prior article regarding Priscilla captures her style of reporting, "The where-am-I expression she seems habitually to wear is a natural disguise for a fine mind and sensibility, as well as a stubborn talent for getting what she is professionally interested in having. "xxii February 2, 1978 the House Select Committee interviewed Priscilla McMillan and during her biographic statement it is noted that George McMillan her husband was the author of the book "The Making of an Assassin, the life of James Earl Ray." It seems the couple had a penchant for endorsing official narratives.